Want some video game news? You have come to the right place. Whether it’s Nintendo Switch, PS4 or XBOX One, we give you the low down on what’s happening. Thanks for stopping by. PS5 Details And New Info For The Next Gen Switch!! In this episode I discuss PS5 news as well as all new Switch Pro information!! It’s an exciting show so be sure to give it a listen. What the heck is Microsoft Thinking with their upcoming disc-less system?! Check out this show and listen to my discussion. Will Nintendo Hold an all New Nintendo Direct?! ARPIL 11th is the Rumor! Nintendo may be gearing up to host another Nintendo Direct and I discuss what I think will be shown. Also in this show is a package that arrived on my door step.... Check it out and enjoy! Best But May Have Just Leaked a Number if High Profile Games Coming to Switch! Nintendo is poised to have an outstanding year this year and I discuss why I know they will DOMINATE in 2019. With the possibility of new hardware as well as all the new games hitting, the Switch and Nintendo look awesome. Borderlands 3 is HERE!!!! Huge Borderlands 3 Discussion! One of my favorite series of all time has to be the Borderlands 3 series. I have had so much fun with this series and I am BEYOND THRILLED that Borderlands 3 is coming. Sony’s State of Play Was TERRIBLE And Apple Getting Into Game Streaming?! Hello again everyone and thank you so much for listening to the podcast. In this episode I discuss how terrible Sony’s state of play show was as well as Apple getting into the game streaming service. Sit back relax and enjoy the show. The Wall Street Journal is once again reporting that Nintendo is set to launch two new Switch models in the very near future. I discuss this rumor once again so please enjoy the show! Google Stadia is Shown And I Discuss How it Could Make a Huge Impact! Looks like google will be showcasing new video game hardware in the next day or so, so I wanted to share some thoughts on the subject! Enjoy the show and be sure to subscribe to the podcast. Nintendo is looking to embrace VR for the Nintendo Switch as they have announced an all new labo kit that features virtual reality. Check out the show and enjoy. Xbox One Disc-Less System INCOMING!! More details have emerged discussing a disc-less XBOX One and I discuss the possible system here. It seems like Microsoft will be bringing the system out VERY soon so tune in to the show. Pokémon Sword and Pokémon Shield Have Been Announced!! Let’s Discuss!! It’s official my friends, Pokémon Shield and Pokémon Sword have been revealed for the Switch and in this episode I discuss how MASSIVE these two games will be! Check out the podcast and enjoy the show. XBOX Game Pass For All!! Is Microsoft Going 3rd Party?! In this episode I discuss what Microsoft may be doing in this upcoming next generation of hardware and why new rumors may point to XBOX game Pass headed to other consoles! Enjoy. Hello again everyone. In this episode, I discuss Nintendo Switch and why 2019 is going to be a crucial year for Nintendo. It seems like all the stars are aligning to make this a great year for the Switch console. Apex Legends ROCKS!! And PS5 Talk! In this episode I discuss the recently released Apex Legends game and why I think it’s a pretty sweet title so far. I also briefly talk about some PS5 news! Enjoy the show. Nintendo Switch Mini is Coming?!!!! In this episode I discuss the upcoming (rumored) revision for Nintendo Switch and why I think this system could start the whole “Switch Craze” again. Enjoy the show! Metroid Prime 4 Development Being RESTARTED?! What?!!! Hello everyone. In this all new podcast I discuss Metroid prime 4 and its development apparently being restarted. Tune in and enjoy, thanks for listening. 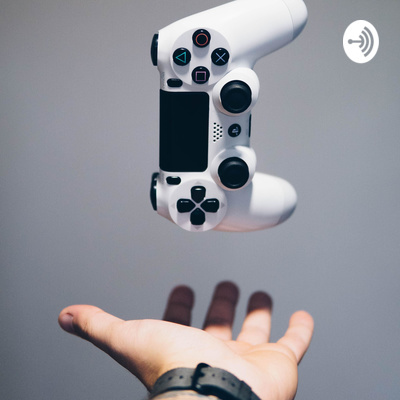 It is an all new year my friends and in this podcast, I share some of my predictions for the gaming industry for 2019. Enjoy the podcast everyone. Hello everyone! Happy new year! In this episode I discuss what game was my personal game of the year and what video games we picked up over Christmas break! Enjoy! Let’s talk about why Sony is Winning This Generation! The PS4 has been an amazing system and I discuss what made the system so great and why gamers flocked to the console. Enjoy! The Game Awards is Over... now What?! Hello guys, the game awards is now over and I discuss the big show! I also talk about why it made sense that Nintendo chose to only showcase Smash Ultimate. Please enjoy! In this episode I discuss the upcoming Game Awards and what I think will be at the big show. Make sure you give this a listen and share with some friends. Enjoy everyone. In this episode I discuss what games I picked up for Black Friday! What did you all get?! Thanksgiving time is a great time to pick up some games and in this episode I discuss what games I picked up this year. Check it out and enjoy! New Nintendo Switch Becoming The Worst Kept Secret And Black Friday Deals!! Hello again everyone. 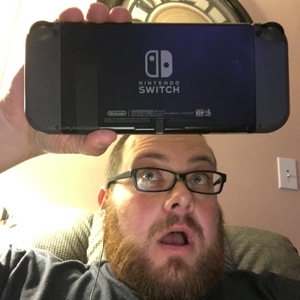 In this podcast I talk about the new Nintendo switch system that should be arriving in 2019 as well as some black Friday deals that I plan on taking advantage of. Make sure you give this episode a listen and share it with your friends. Is Microsoft in a Weird Position?! Hello again everyone. In today’s podcast, Microsoft was in my mind and I discuss why I think they are in a awkward position and what they will do moving forward. Check it out and thanks for listening. Who will “win” this holiday season? Sony, Microsoft or Nintendo?! Hello everyone! In this all new podcast I discuss who I think will “win” this holiday season and why! Give it a listen and be sure to let me know what you think. Enjoy. Hello everyone. In today’s show, I discuss the next generation XBOX, codenamed XBOX SCARLET. I talk about some rumors I have been hearing so enjoy the show! All New Nintendo Switch is HAPPENING! It is happening my friends! An all new, more powerful Nintendo Switch, is coming next year! The wall Street Journal reporter that Nintendo is indeed working on an updated version of the Switch and I am super excited. Take a listen and enjoy the podcast! Nintendo Switch Online.... Is it Unacceptable?! Hello everyone. I know that a lot of you have been discussing Nintendo Switch Online and I wanted to weigh in again about the service. It’s 2018 and I think I we deserve better. Enjoy the new show. In this episode I discuss the classic mini home consoles. Sony has recently announced that they will be releasing a PlayStation classic and Nintendo may be releasing a Nintendo 64 classic before the end of the year. Please enjoy and let me know what you think about the podcast. Nintendo Direct Discussion! I am back!! In this episode I discuss the latest Nintendo Direct Show. Fingers crossed this uploads the full episode. Enjoy. Where Will Nintendo be in 18-24 Months?! In this episode I discuss Nintendo’s position in the upcoming year and a half. Enjoy. It appears as though XBOX will be kicking off the next generation of home consoles. Let’s discuss! HUGE Nintendo Switch News Incoming! Apparently there is some all new information headed our way fold Nintendo Switch. Is there a new Direct Incoming? Is Nintendo going to release new hardware?! In today’s podcast, I discuss my recent pickup, the oculus go VR headset. Check it out and be sure to give this a listen. E3 2018 is over... Let’s discuss!! Why is Nintendo’s stock plummeting and is Perfect Dark coming to Xbox One?! Would you like to see Nintendo bring back a live conference and what is Sony up to? Dockless Switch and a mobile PS4? !